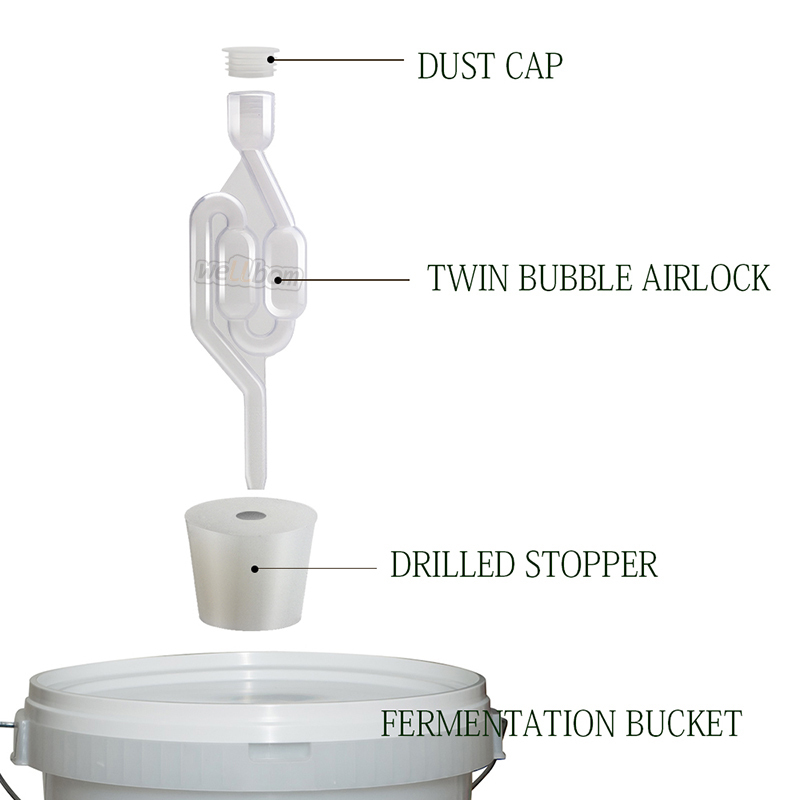 Ferment your beer with no worry of contamination. 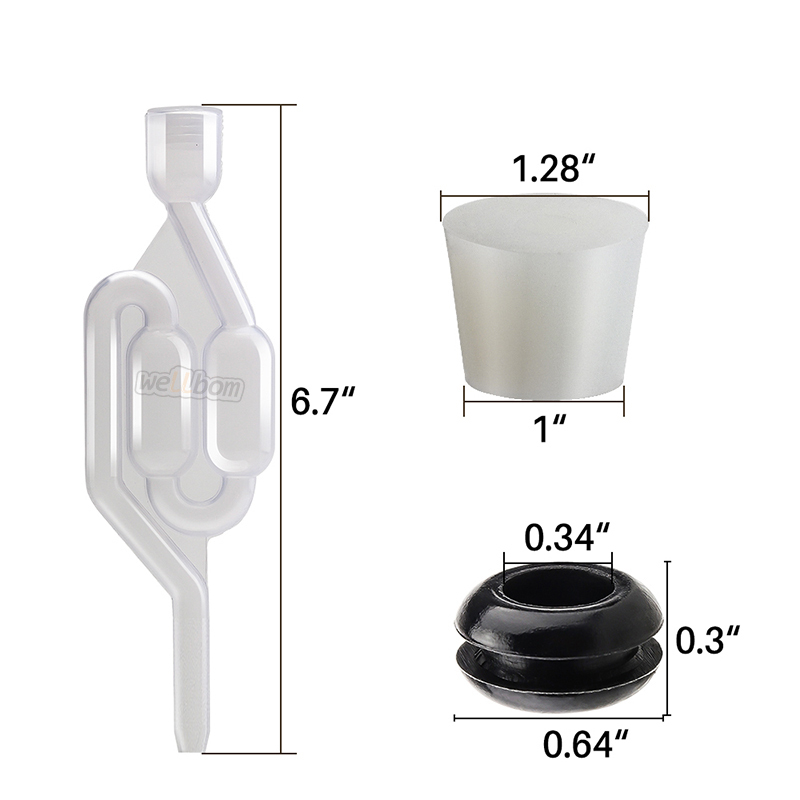 Fitting stopper makes fermentation easy and clean. 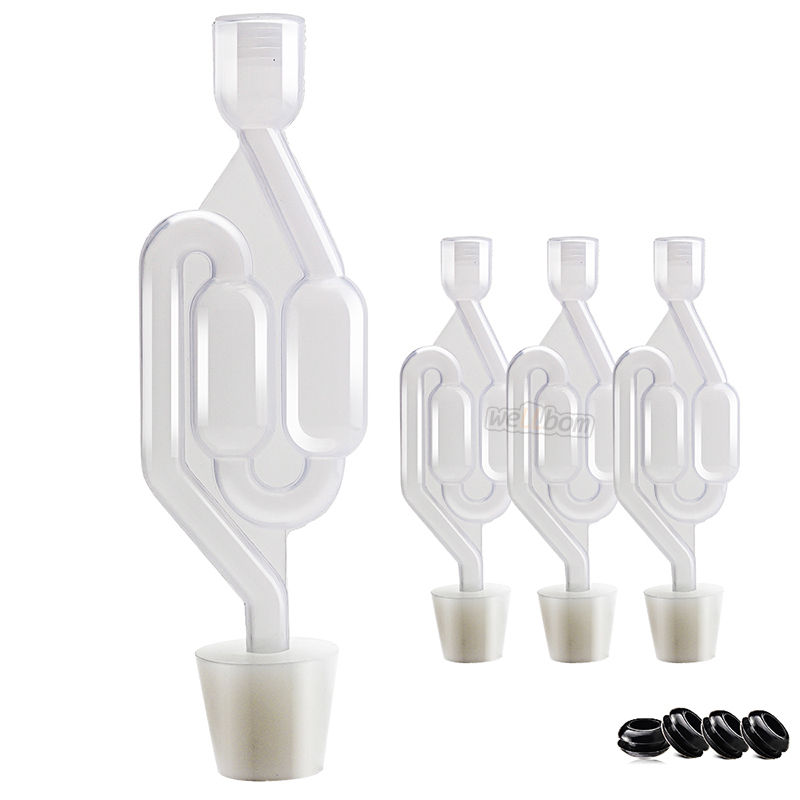 Allows CO2 to Escape,But prevents air from contaminating your beer or wine. 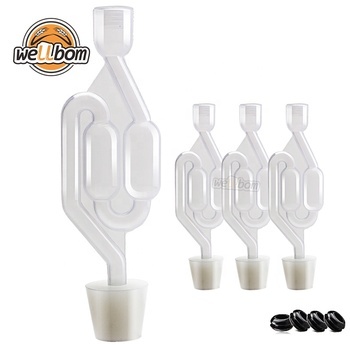 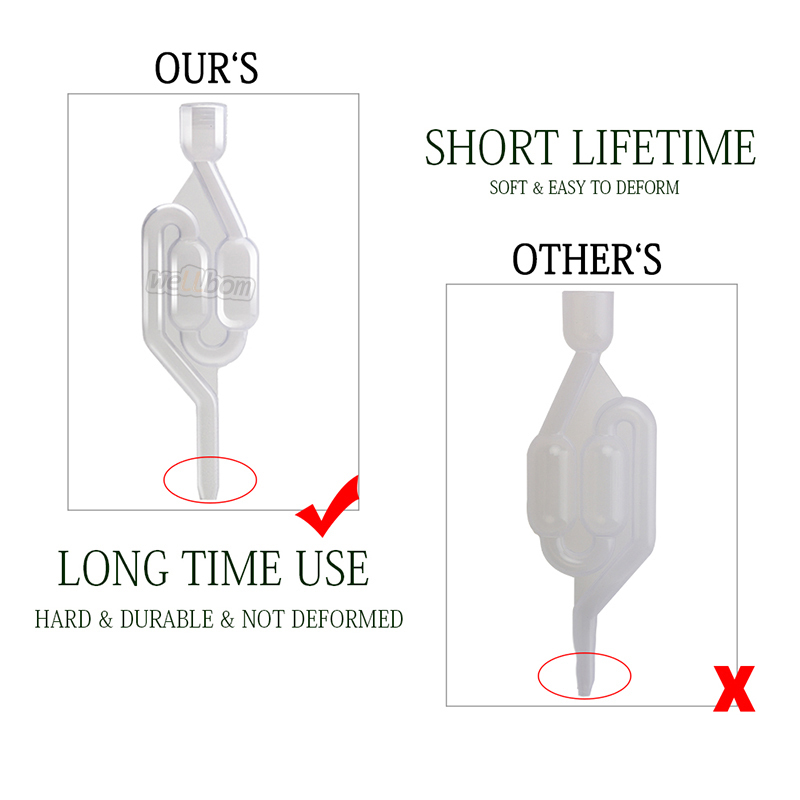 This airlock or fermentation lock is filled partially with liquid and it sticks in the top of a drilled stopper and into the top of your fermenter. 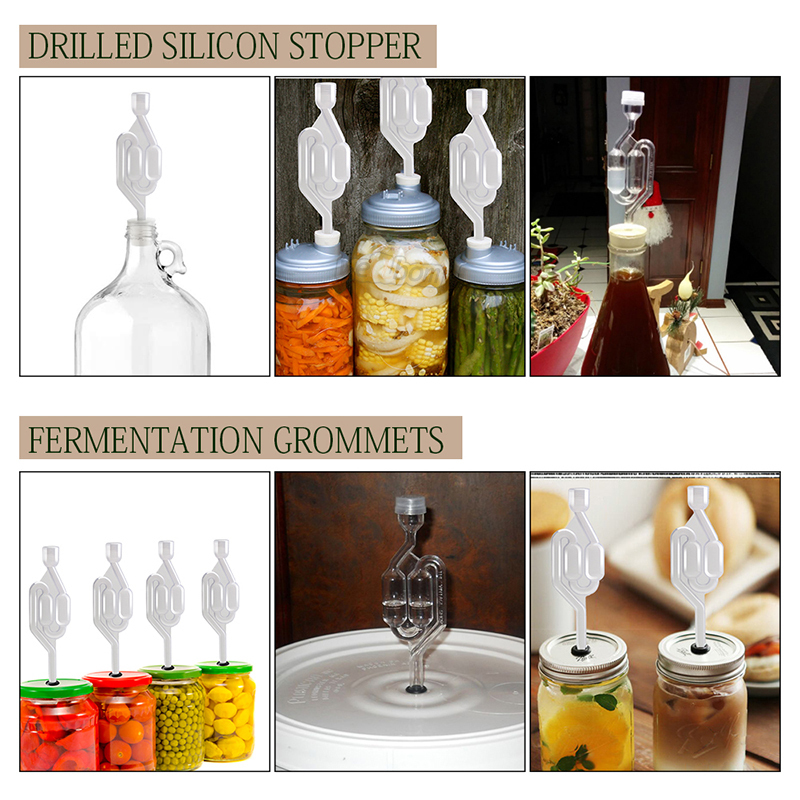 1 : when you receive the silicone stopper,it maybe have some Curing Agent Flavor, please put it for some days,the flavoe will be disappear.